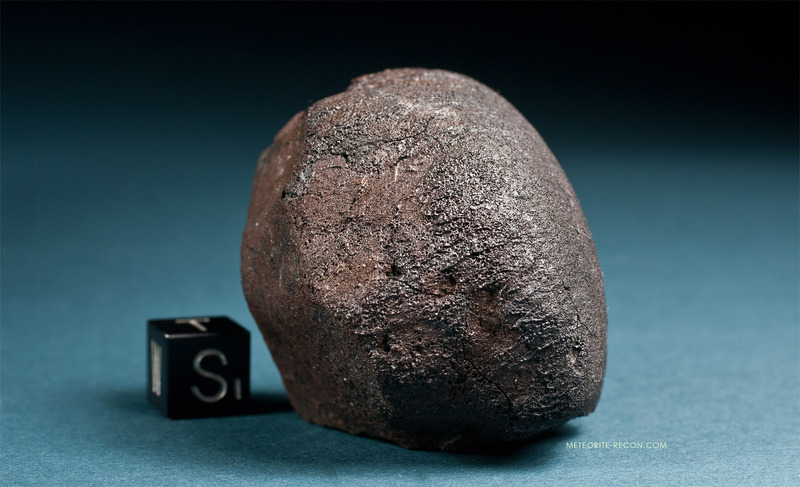 The fireball – technically a superbolide – was caused by a relatively small asteroid, approximately 17 meters in size, entering the Earth’s atmosphere at a speed of approximately 30 km/s at an untypically shallow angle. While the meteor was slowed down by the atmosphere to a speed of about 19 km/s, ram pressure increased and the asteroid began to fragment at an altitude of ~25 km due to the stress overload. The resulting explosion released an energy equivalent of 90 kilotons of TNT and was recorded at seismic stations around the globe. First calculations by NASA/JPL corrected lower estimates by the Russian Academy of Sciences (~ 10 tonnes) and gave an initial mass of 11,000 tonnes for the Chelyabinsk meteor, making it the largest object to have collided with Earth’s atmosphere since the 1908 Tunguska event. 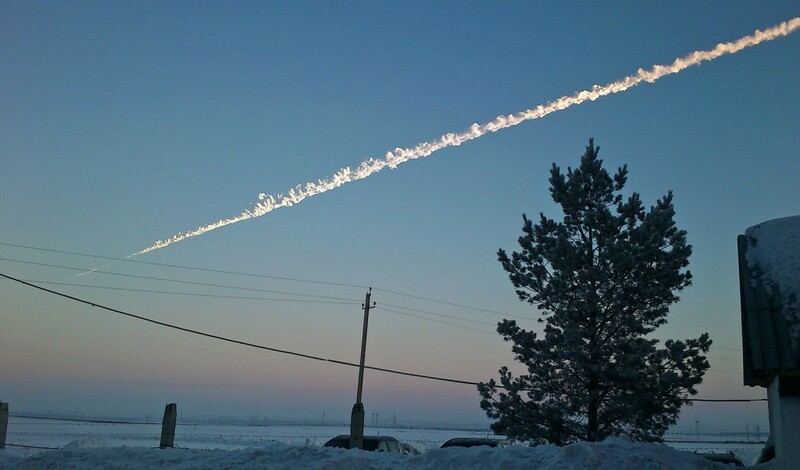 The series of subsequent explosions that continued to an altitude of 15 km produced a shower of fragments of various sizes that descended as meteorites over an elliptic area of at least 65 x 6 km, stretching from the small village of Yemanzhelinsk, south of Chelyabinsk, to southwest of Chebarkul. Around 09:20 YEKT, fishermen fishing from ice holes at the shore of Chebarkul Lake witnessed a large body impacting the ice of the lake: ‘First, a luminous spot appeared in the sky that rapidly increased in size and brightness. Then, an explosion was visible that produced about seven fragments, each flying in a different direction. One fell on the lake shore opposite the city, ejecting a column of water, ice and steam. A huge ice hole with a diameter of about 7-8 meters, perfectly round in shape, gaped in the ice.” The witnesses were convinced that the fragment impacting the lake must have been still hot since they had no other explanation for the steam and hissing sounds that came from the impact hole. In the following days, this site was frequently visited by local and international TV-teams. Footage taken at the ice hole showed small sub-centimter sized fragments of the meteorite collected from the ice ejecta near the hole. Divers inspecting the lake bottom reported poor visibility conditions and did not find any larger masses, but a magnetic survey conducted in early March produced several large anomalies most likely representing meteoritic debris. But not only big fragments fell. 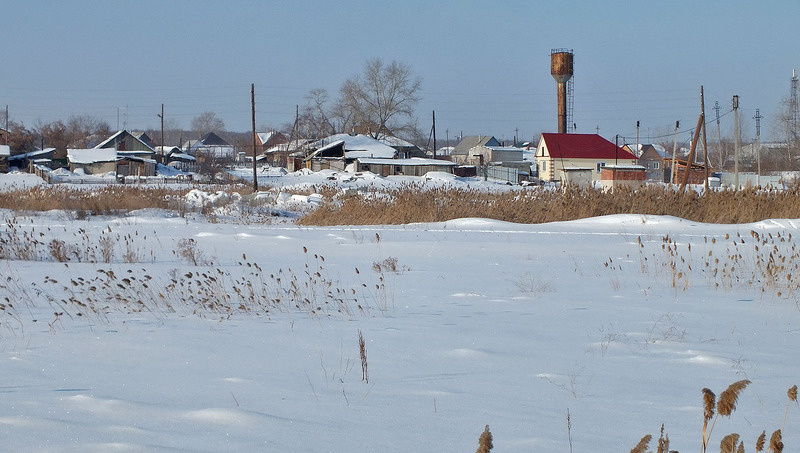 Following the air burst of the body, thousands of small meteorite fragments, slowed down by air drag to terminal velocity (90 – 80 m/s), fell on areas south of Chelyabinsk. 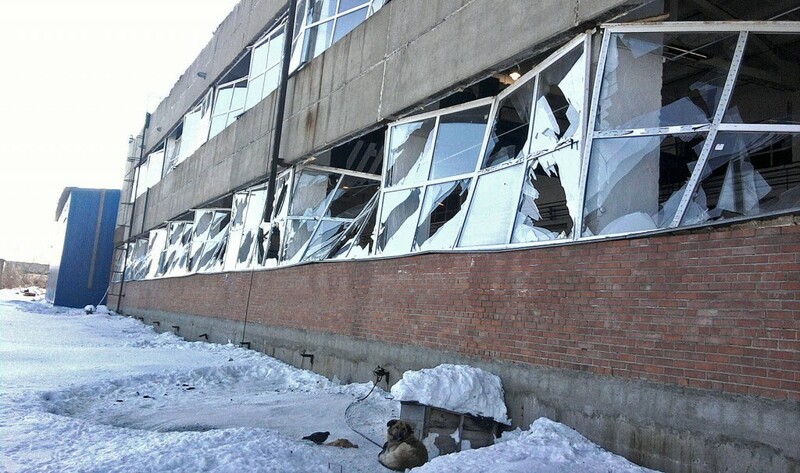 While the damage in Chelyabinsk was caused by the shockwave of the air burst alone, meteorites actually hit structures and vehicles in two villages south of Chelyabinsk, some of them reportedly cracking windows and denting car roofs. 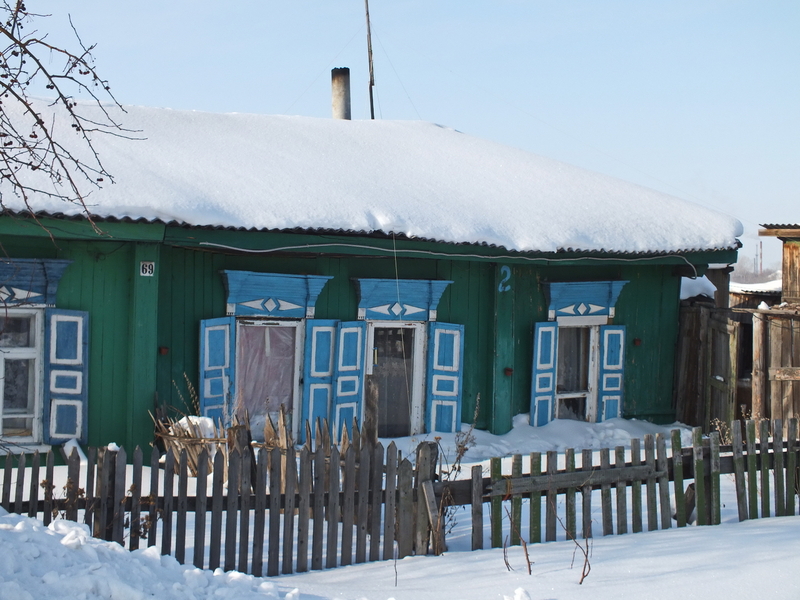 One witness, Aleksandra Gerasimova, a 61-year-old retired milkmaid, reported being hit by a small meteorite that tore her coat and embedded itself in the inner lining while she was standing outside with her husband and looking up towards the dust cloud of the meteor. At the time of the fall, a snow cover 30 – 80 cm high prevailed at the fall site. 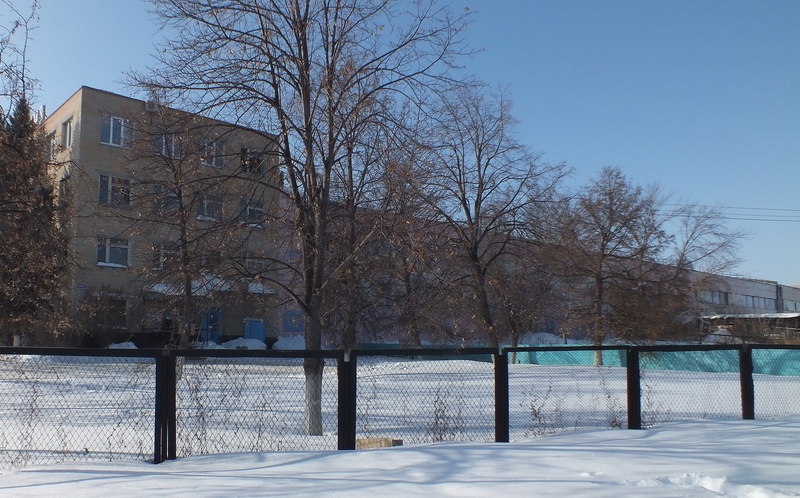 Several small stones that fell on cars and cleared roads were picked up by locals immediately after the fall in the villages of Deputatsky and Yemanzhelinsk. In the first hours after the event, more stones were found at the bottom of impact holes that were visible in the outer surface of the snow. Knowledge about meteorites that could be found at the bottom of those impact holes spread, and soon the children from the villages at the uprange end of the distribution ellipse had made a sport out of collecting meteorites. A local market for meteorite fragments immediately emerged, expanding over the following days due to the growing number of meteorite tourists, journalists and scientists visiting the area. Over the first five days after the fall, the search for fragments of the Chelyabinsk meteorite focused on two locations: The impact hole in Cherbakul Lake, and on the fields and frozen ponds between the villages of Deputatsky and Yemanzhelinsk (including the area south of Pervomayskiy and north of Zauralskiy). Most of the initial fragments recovered from around the ice hole were less then 10 g, but several larger fragments – among them specimens weighing, 60.3 g, 63.0 g, 106.2 g and 112.2 g respectively – were recovered from the plains between Pervomayskiy and Deputatsky. Between February 18 and February 28, two field expeditions were organized, the first by experts from the Russian Academy of Sciences, which found 50 pieces in total, albeit mostly smaller fragments >30 g. A second field team, led by Viktor Grokhovsky of the Urals Federal University in Ekaterinburg, found another 50 fragments, including a pristine regmaglypted individual weighing 1.8 kg which was found near Deputatsky. 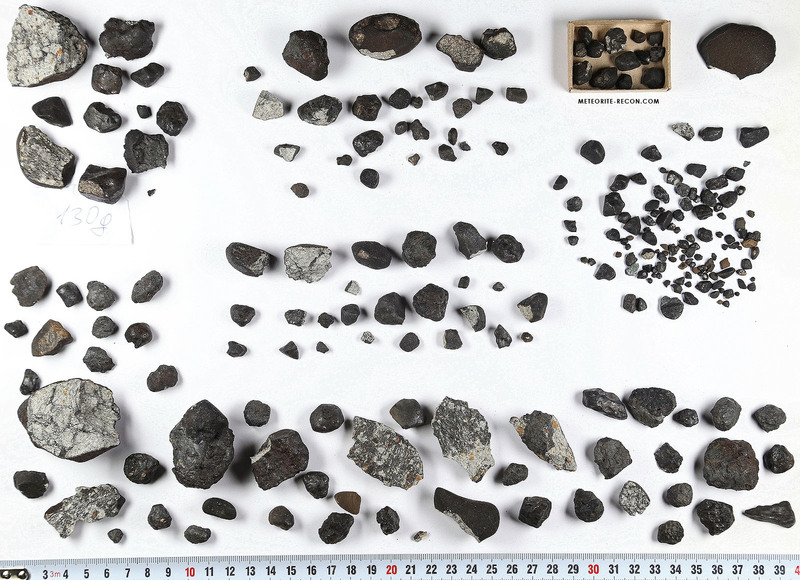 While the recovery efforts of the two institution-sponsored teams were doubtlessly successful, the vast majority of the recovered Chelyabinsk meteorite fragments were collected by private individuals.